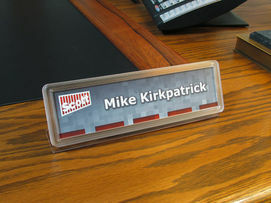 Do-it-yourself desk name plates look sleek and professional when combined with economical SNAP® desk stands. 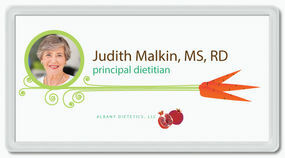 With our versatile supplies, you can also create matching door signs and reusable name tags right at your desk. 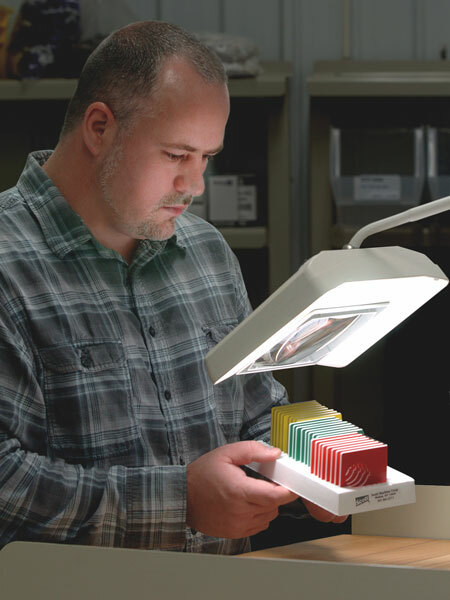 Besides lowering your costs when you make your own desk name plates, you also have the flexibility to change them out in seconds so that new desk plates are ready for new employees the moment they begin work. And with the great accessories and sales support we offer, do-it-yourself never means do-it-alone. 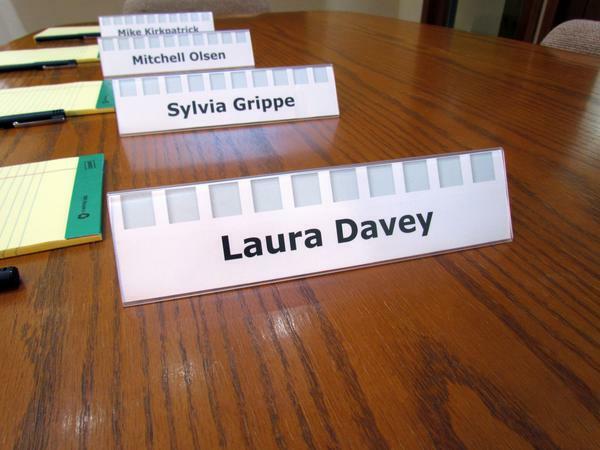 You can make your own desk name plates look fresh and contemporary for any business setting. 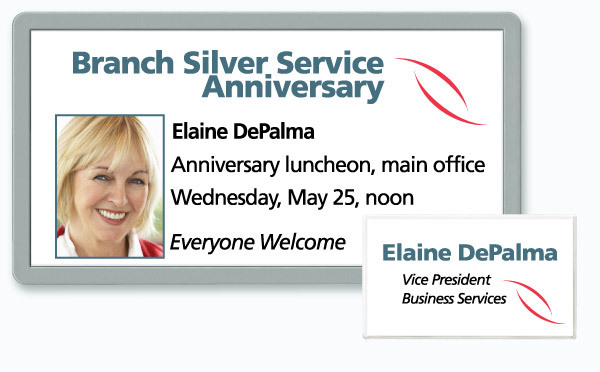 The clear, textured frame snaps shut instantly, so when you make changeable desk signs, every name is easy to read, easy to remember...and every SNAP® sign easy to do! For every exam room and every staff member, there's an affordable sign that's fit for the job. 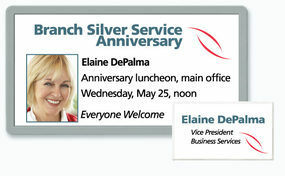 Changeable teller signs and matching teller name tags highlight the unique nature of your people and your bank. Do-it-yourself custom name plates give each workspace a dash of originality and a stylish touch of professionalism. To give your name the respect it deserves, utilize 4" x 10" reusable door nameplates that display the full name, title and other relevant information for quality do-it-yourself introductions that are both printable and affordable. Let seminar participants feel like recognizable friends with these double-faced, reusable name tents that break the ice for any event. Now that's a S.N.A.P. sign with a whole new slant! You'll see that the products we manufacture are just what you need to make your own desk name plates and supporting name badges. Using economical SNAP papers, frames and supplies, it's easy to make, in minutes, introductions that last for years.